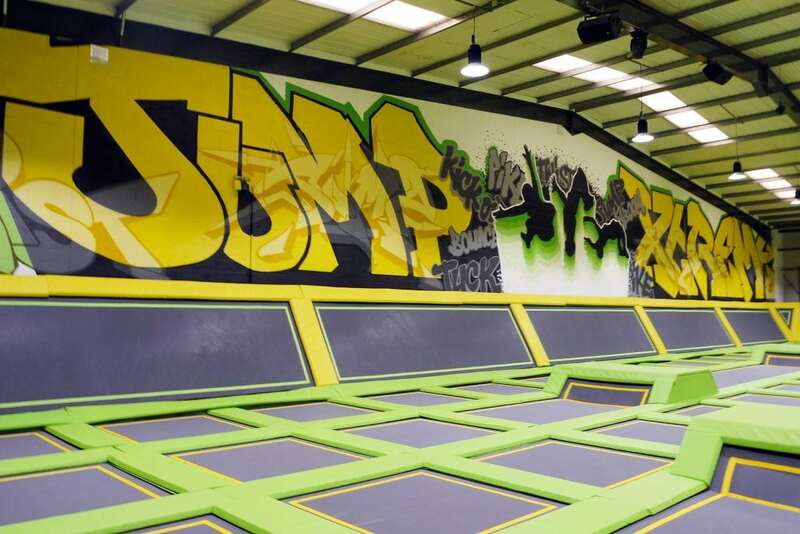 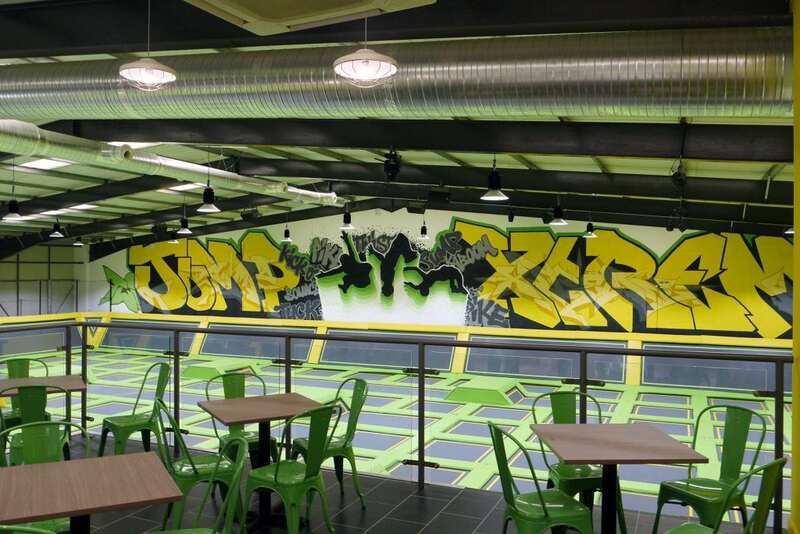 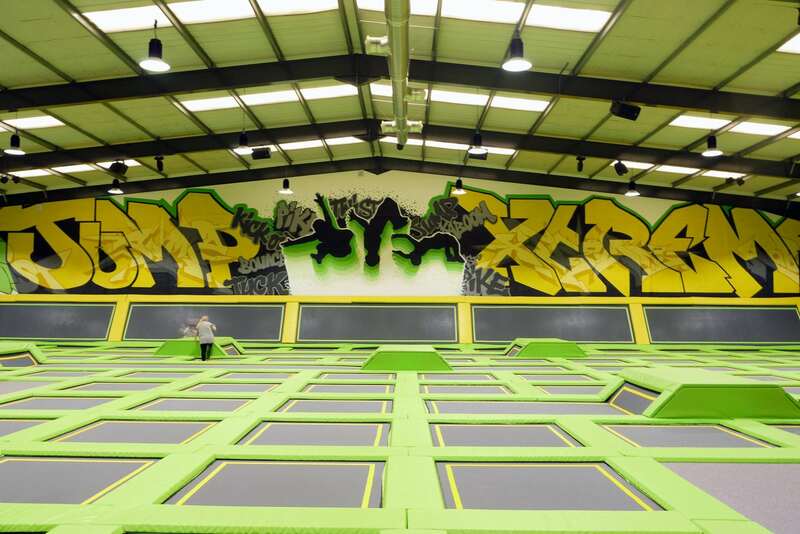 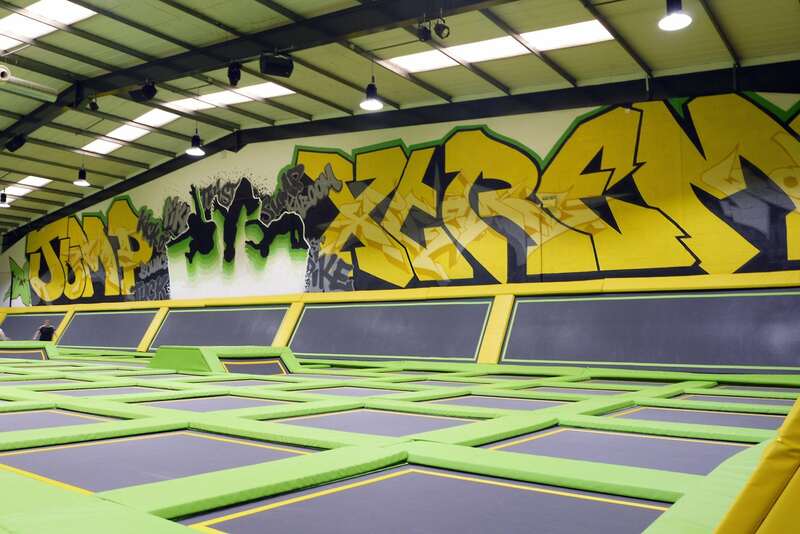 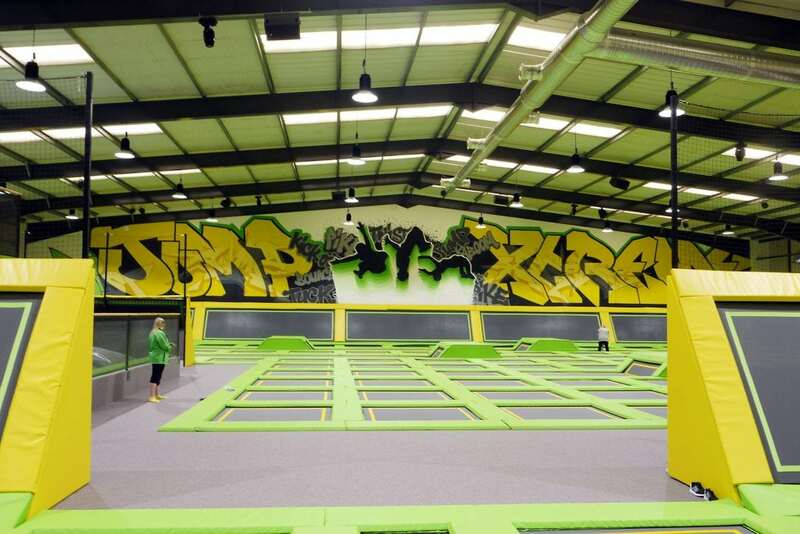 Trampoline park owners, Jump Xtreme commissioned Soulful Creative to design and create brand inspired graffiti pieces at their massive trampoline park in Bolton, to excite and energise visitors. 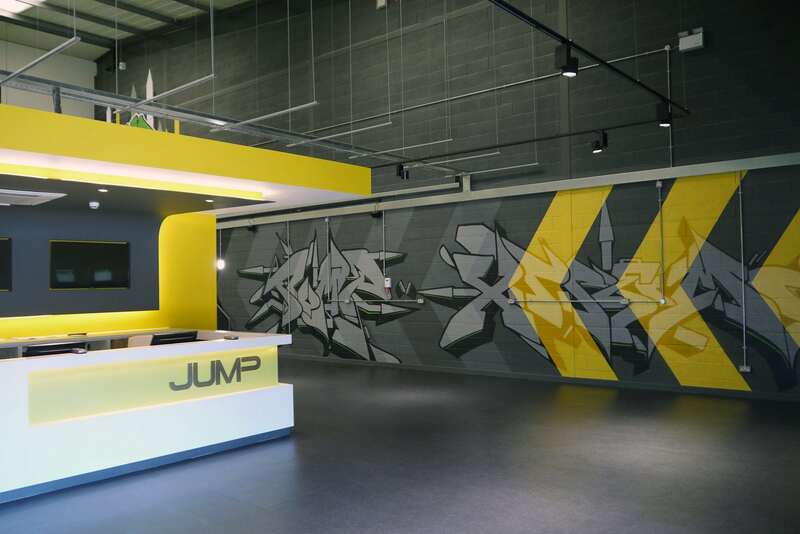 Working with their colour palette and using the Jump Xtreme text as a foundation for the designs, we mixed different graffiti letter styles and transparent painting effects with bold graphics that complemented the interior design. 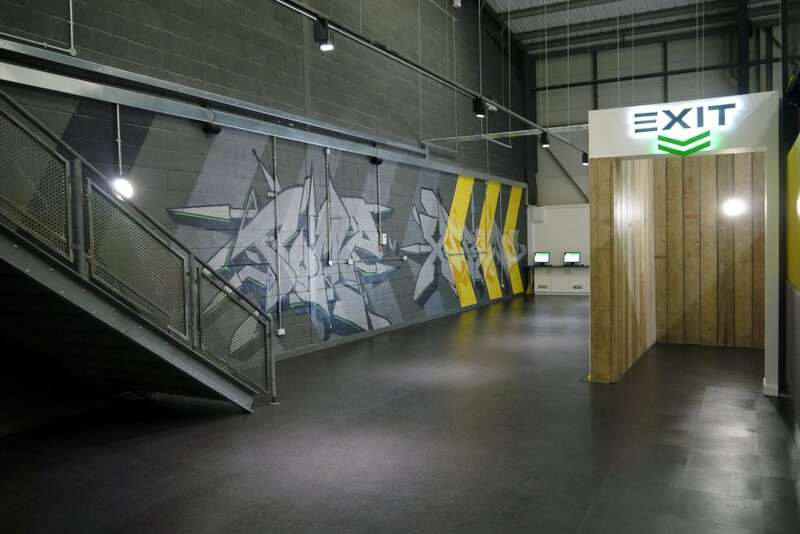 We created a chevron graphical graffiti piece in the reception area which also helped to direct visitors in the right direction, and a huge 40m wide by 4m high painting within the main arena that has over 115 interlinked trampolines. 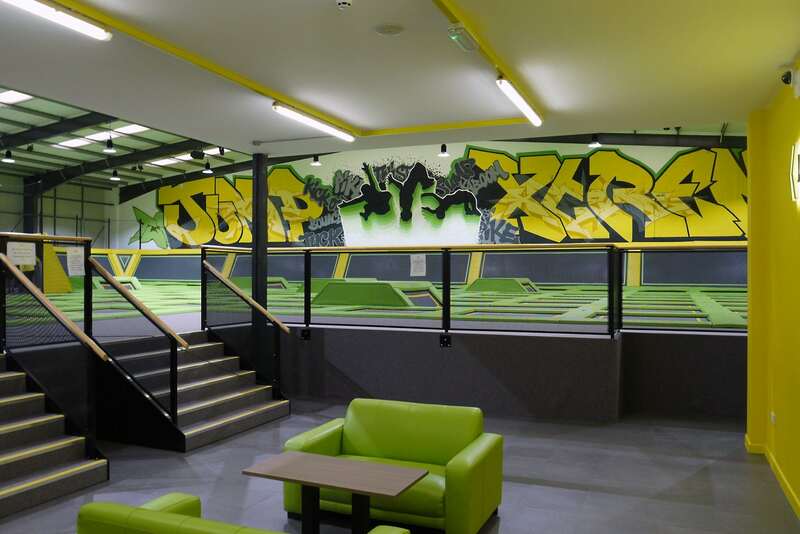 Contact us to see what we could do for you.